So we just got back from 2 weeks camping at Bon Echo Park with the bears. They have taken to 3-5hrs of Paddle Boarding daily. Everytime we paddled down to the dog park, we got a lot of lookers as FuShiLu asked me to remove her floatation vest so she could launch herself into the air and swim the remaining 20 metres herself. She likes to show off. When out on the lake she jumps off with her vest on to cool off, does a circle and climbs back up amd we continue on. ShenLung at 11 is not jumping off, but loves the vest as he can just continue swimming at his pace, he does like to sit up and stand for motor boats, we’re not sure yet why. Lots of dogs jumped up on the paddle boards to try it out at the dog park, I guess they thought it was cool. 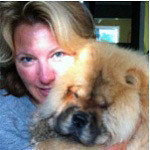 Difference between Chows and other dogs on paddle baords is Chow legs don’t shake like plucked guitar strings! Anyway, they follow us down to the water twice daily to head out, they climb on and get comfy so we can head out and boy do they love all the attention people give them. We hope your fur kids a having a good summer so far.